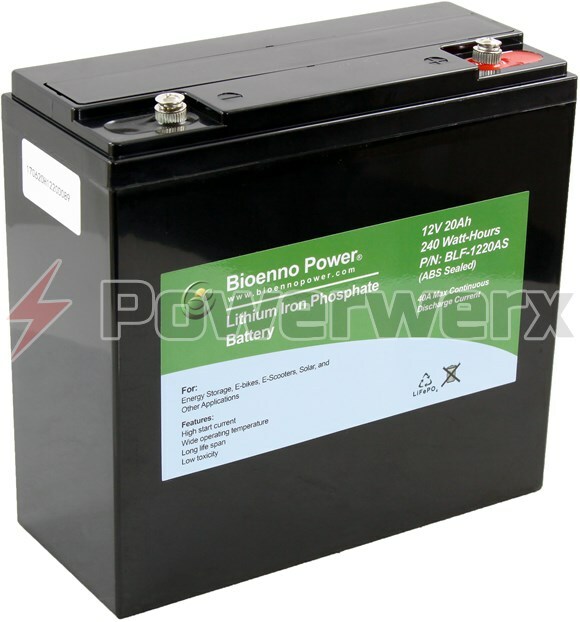 The Bioenno Power Lithium Iron Phosphate (LiFePO4) Battery Model BLF-1220TA is a state of the art 12V 20Ah battery. 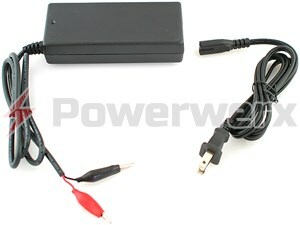 Meeting and exceeding the power of a 12V 40Ah SLA at only 7 lbs. for the unit as opposed to 33 lbs. for an SLA, this AS variant offers reliable quality performance in a standard ABS form factor designed to be the ultimate drop-in solution. Ideal for hard use, this ABS version has seen extensive use in science, powering critical avionics on sail planes with additional applications covering e-bike, e-scooter, radio communications and audio-visual. 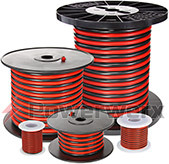 No EMI/RFI (Electromagnetic Interference/Radio-Frequency Interference) and is absolutely quiet. 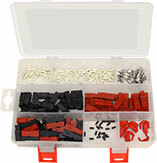 This unit has available a 110VAC/220 VAC AC-to-DC charger, that provides 4A with alligator clips, sold separately.